I can’t believe we are already a week into November. Geez. Back to the grind, I guess. I got some tunes to keep you going though, I reckon. Remember that song, “Reckoner?” It’s by Radiohead, from, like, 2008 (or if you wanna get technical, it’s more like 2001, but who cares). The song has been covered, remixed, and mash-uped just about every which way. I have one mash-up though, that’s always a good listen. Mash-up kings, The Hood Internet, dropped “Tambourine Reckoning” years ago, but it is still making waves in my head as it is always a refreshing song to listen to. The swift lady rhymes of Eve accentuated by the high pitched howl of Thom Yorke. Throw in a few hoots and hollers and we’ve got a nice little party going on here. There is a nice balance to this song, a little rap-pop-rock mash up if you will: hood enough for your rap buds, but “indie” enough for the rockers. 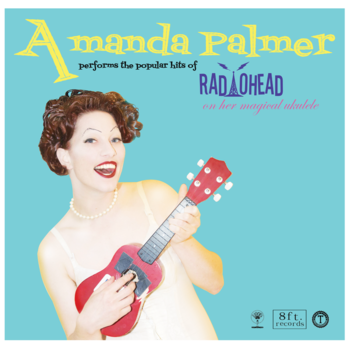 Amanda Palmer is making waves with her Radiohead cover album where she plays their songs using only a ukulele. It’s a pretty clever idea, I mean, who doesn’t like a good Radiohead cover. The broken down covers are simple and stunning and Ms. Palmer’s voice, deep and sultry, counters the typical shrill of Thom Yorke. Head over to her website and fork over a measly $0.84 for the 7 song album. Come on, for less than a dollar you get an amazing album that is going to make you bust out all those old Radiohead albums out right quick and be like “OMG, Radiohead is so good!” As if we already didn’t know that. I came across dangerDAN on The Jackplug. dangerDAN takes the task of remixing Radiohead – which is a rare success – actually to present striking results. 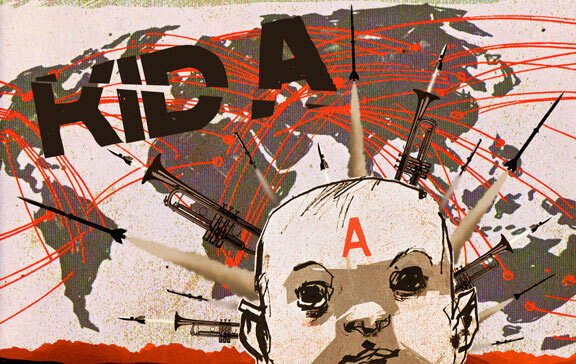 Kid A the album is superb in its electronic darkness and dangerDAN takes “Kid A” the track and mixes in his own meandering eccentricities to produce one of the few Radiohead remixes available. It’s a little dancey, it’s a little weird, but its darkness is sure to put you in a Kid A trance.